Here is a really interesting accessory for your new GoPro Hero 5 Black. It’s an aluminum frame with a built-in cold shoe that can be used to mount a microphone or small LED light on your Hero 5. These frames have existed for the previous generation of the GoPro Hero and they are finally now available for GoPro’s newest flagship camera. 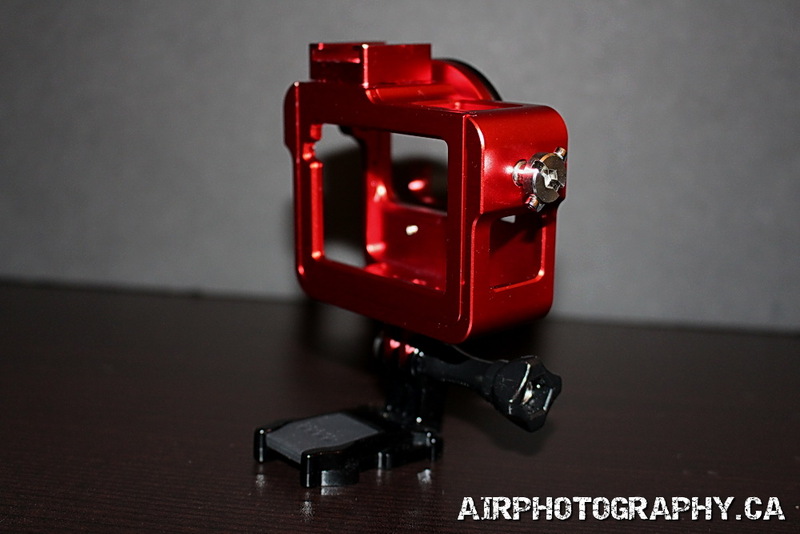 Some of the features this aluminum frame offers over the stock frame that comes with the GoPro is a cold shoe mount for accessories. This cold shoe mount can be removed if not needed or it can be mounted at the side or bottom of the frame. 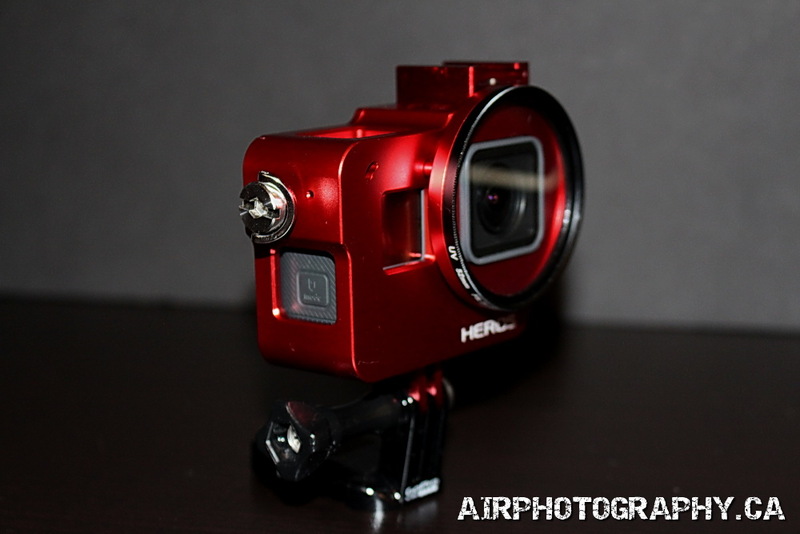 It has a very durable feel and rugged design which will offer greater protection for your GoPro if dropped or happens to get a hard knock. It does happen, unfortunately! This frame also comes with a wrist lanyard that can be used if desired. 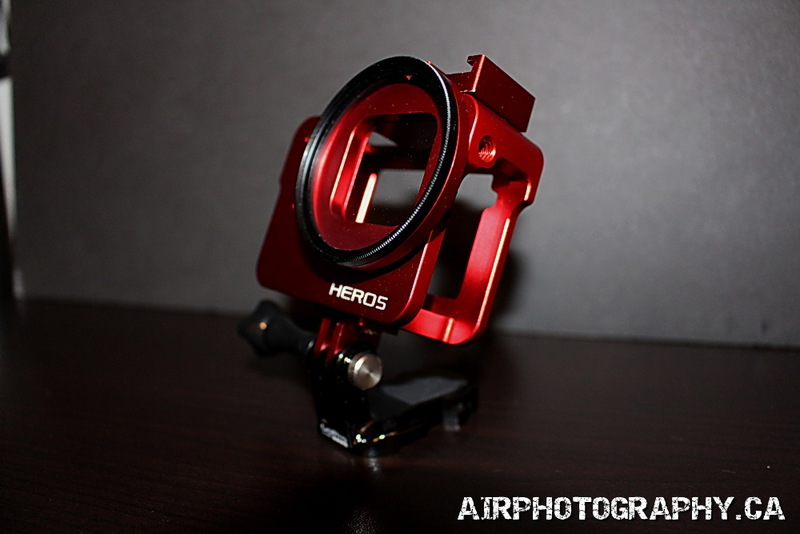 The standard GoPro mount on the bottom will connect to the large ecosystem of GoPro mounts, grips, and poles, but it can also be removed to reveal a standard tripod thread allowing you to mount it to your tripod without any other adaptors. Another nice feature is the lens cap! it comes with a UV filter pre-installed but can be removed if not wanted and the lens cap with still connect. You can install your own standard 52mm Camera filters with no issues. The manufacturer also includes a cloth bag to store your new Hero 5 aluminum frame. 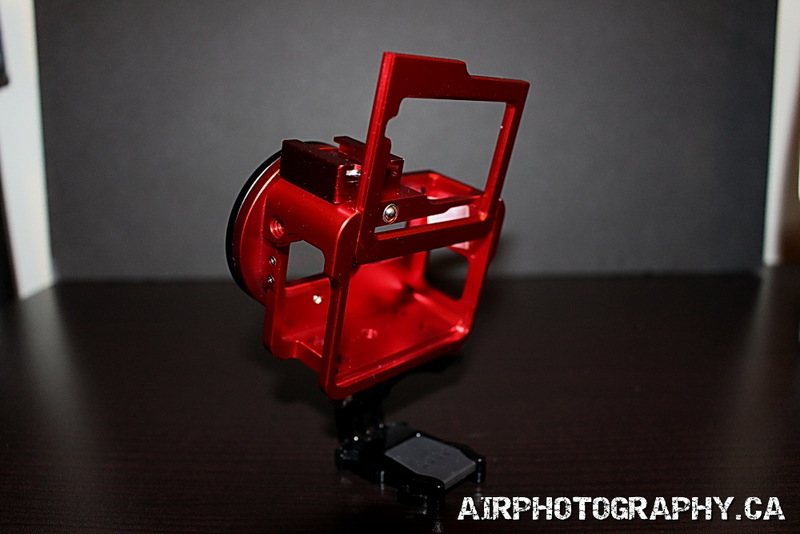 This is a really sharp looking frame and I love how it looks, I opted to go with the red aluminum as it matches my tripod perfectly. It comes in a variety of colors to suit any taste and mood. The frame is quite a bit heavier than the stock frame so that could be an issue for some. When filming in super wide view mode you may get some slight vignetting in the photo or video. I tested this thoroughly and didn’t really notice anything worth noting but just thought I would mention it. For myself I rarely if ever shoot in superview mode so for me its a non-issue. Forget about attaching a floaty to the back or using a floating grip. Due to the extra weight, I do believe it would sink like a stone due to its weight, however, I have not tested that theory! All in all, I am quite happy with this aluminum frame, for me the most important feature and why I purchased it was for the built-in cold shoe that allows me to easily connect an external microphone. Please feel free to comment if you have any question. You can head over to my YouTube page to watch a video of me unboxing this unit and going over all the features. Your GoPro YouTube videos are fantastic. I’m excited that you have a website for product reviews & feature-rich content that’s one stop shopping.